China will divert water from its two longest rivers to irrigate the drought-stricken farmland, a Ministry of Water Resources (MWR) official told media Saturday. Water in the country's longest river, the Yangtze River, will be diverted north to the northern areas of east China's Jiangsu Province as temperature rises and water demand grows, said Zhang Zhitong, deputy chief of the MWR's flood control and drought relief office. Sluices on north China's Inner Mongolian section of the Yellow River, the country's second longest river, will be opened to increase water supply for Henan and Shandong provinces downstream, Zhang was quoted by the China News Service as saying. China has released more than 5 billion cubic meters of water from the Yellow River to fight drought that started to hit most of north China, including Henan, Shanxi, Shaanxi, Shandong, Qinghai and Gansu, from November. The drought is also affecting rice-growing Hubei, Hunan, Sichuan and Yunnan provinces. Because of little rain, waters that can be tapped from five major reservoirs on the Yellow River decreased by 3.4 billion cubic meters to 14.6 billion as of Thursday, official figures show. Zhang said water supply for farmland and residents in some mountain areas will be more difficult if the drought continues. China has declared the highest level of emergency in response to the rare drought, which had affected 161 million mu (10.7 million hectares) of crops, 4.37 million people and 2.1 million heads of livestock across the country as of Thursday. The Ministry of Finance on Friday allocated 86.7 billion yuan (about 12.69 billion U.S. dollars) from its reserve to drought-hit areas in relief funds. China employed artificial means to create rains in at least seven provinces on Saturday to alleviate rare drought, the China Meteorological Administration (CMA) said Sunday. Local weather-control officials had fired a total of 2,392 artillery shells and launched 409 rockets in 127 cloud-seeding operations by 10 p.m. Saturday, according to a statement on the CMA website. Rain-enhancing practices were adopted in such drought-stricken provincial regions as Henan, Gansu, Ningxia, Shaanxi, Shanxi, Hubei and Anhui, it said. In central China's Henan, artificial precipitation brought on average 0.5 millimeters of rainfall to 17 counties and cities. 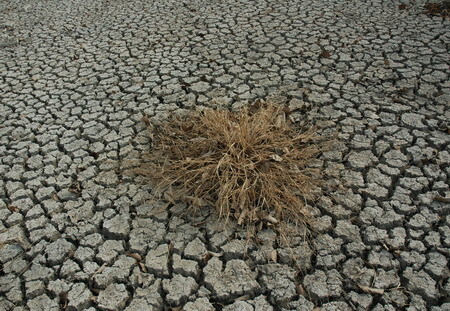 The province, a major wheat-producing area, is suffering the worst drought in half a century. Parts of the artificially moistened provinces and north China's Hebei Province saw one to five millimeters of rain from Saturday to Sunday morning, the National Meteorological Center (NMC) reported. Parts of Shaanxi, Shanxi, Henan, Anhui and Hubei will see thick clouds during Sunday daytime, favorable for more rain-inducing measures, said the CMA. The NMC forecast rain and snow on Sunday and Monday in parts of northwest, southwest and central China. China has declared the highest level of emergency in response to the drought that began to hit most parts of northern China in November. The foul weather had affected 161 million mu (10.7 million hectares) of crops, 4.37 million people and 2.1 million heads of livestock across the country as of Thursday.